I do not like to admit I was wrong, but I was very wrong. I have a certain taste in books. I know I can hear some of you say with much skepticism, “Sure you do.” While it is true I read in and out of several genres, I do have a preference when it comes to story lines. You won’t see me read many westerns or astronomical sci-fi novels. I steer away from the Harlequin type romances and the super sweet chick lit. I also hate to admit that I do, sometimes, judge books by their covers, though I am getting better at not doing that. Call me a recovering cover snob, if you will. 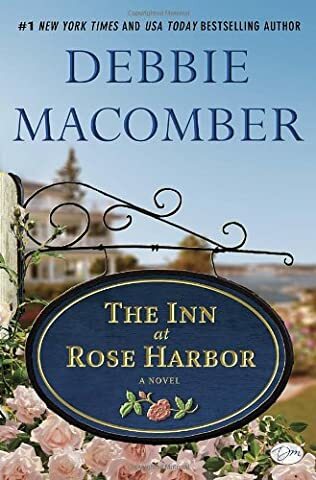 I had to rethink my methodology for choosing books when I came across Debbie Macomber’s The Inn at Rose Harbor. I had totally not read anything by Macomber because of the sweet covers and descriptions. I thought that this sugar sweet fiction would be uninteresting to me and not be worth my time. I was under the misconception that all her novels should be in the chic lit category. I was emphatically wrong. When I had finished reading the story of the young widow who left her home and made a new life for herself as proprietor of a bed and breakfast I was left with the need to read the entire series. I fell in love with the people of the scenic Pacific Northwest town called Cedar Cove. I had to find out what happened to Jo Marie. Did she ever get all the answers about her Army husband’s death? Did her guests find the healing that is offered at Rose Harbor? Much to my astonishment Macomber’s books were nothing like what I had envisioned. They are riddled with full rich scenery, deeply profound situations and intricate characters. It is certainly not chick lit. Macomber weaves amazing stories with people you will not easily forget in this series. It makes me wonder if I was wrong about her books entirely. Just maybe I have been wrong about other authors too! Oh my! What a thought! I will read more of her books and I will venture off in to other uncharted territory of reading. I will let you know if I continue to shock myself by enjoying books that I never before even considered. Maybe you should try it. Risk being wrong about what you like to read. Who knows, maybe you will surprise yourself too. There are eight titles in the series, but three are what I call in-betweens that really don’t add much to the story. Here are the titles in the Rose Harbor series and my library has them all! I bet your library has them as well. This entry was posted in Book Review, Bookish, Every day life, Library, Redemtion, Truth, What if... and tagged Book Review, Books, change, Debbie Macomber, Library Book, Reading, review, self, Truth by Lori O'Gara. Bookmark the permalink. Interesting. Try Karen Kingsbury Christian fiction. They are real life stories but based on Christian principles ……love. Hate. Death. Joy. Sickness. Health sorrow. Happiness Responsibilities. The Baxter family is awesome. Hallmark is starting to show her movies. I have read all but her children’s books but will add those soon. John Grisham is my other favorite, Barbara Taylor Bradford has great historical romances but they are long books. Kingsbury is one that is too same all the time for me. Grisham is on repeat…they all sound the same. Now, Bradford I like. I just read Play the Game and I loved it. It wasn’t a historical but it was about an art historian. I may write a review for it. 🙂 Thank you for the comment!